South Africa Archives - Page 20 of 20 - Africa M.E. LONDON (Reuters) – South Africa’s Mediclinic Intl agreed to buy United Arab Emirates’ Al Noor Hospitals Group, gaining the upper hand on rival NMC Health in a tussle for expansion in the fast growing Gulf region. But NMC Health, already a major player in the UAE, vowed to fight on, saying on Wednesday it remained committed to a tie-up with Al Noor. Shares in Al Noor jumped 19 percent to 1,185 pence, above the 1,160 pence value of Mediclinic’s agreed offer and valuing the company’s equity at 1.38 billion pounds ($2.12 billion), as investors anticipated a battle for the group. Mediclinic’s Chief Executive Danie Meintjes, who will remain CEO after the deal, said the combined group would be the largest private healthcare provider by revenue in the “highly attractive growth market of the UAE”. Mediclinic, which has more than 50 hospitals in South Africa and Namibia, also has a presence in the UAE. Combining the two companies will create an operator with around 20 percent of the private beds in the region, analysts said. It will also be the biggest player in Switzerland, the third largest in South Africa, and will have a 29.9 percent stake in Britain’s Spire Healthcare Group. The deal, structured as a reverse takeover of Al Noor by Mediclinic, will create a London-listed group with a turnover exceeding $4 billion operating 73 hospitals and 35 clinics. NMC Health, which is also listed in London, said it had made an informal cash-and-shares offer to buy Al Noor on Oct. 9, days after Al Noor and Mediclinic said they were in talks. 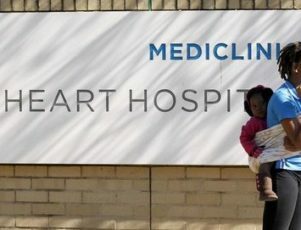 Al Noor Chief Executive Ronald Lavater said there was a “compelling strategic fit” with Mediclinic, and together they could expand coverage and service delivery in the region. He said the board had considered the NMC Health proposal and had concluded it was “inferior both on the value and on the deal certainty”. The tie-up with Mediclinic is backed by the two major shareholders in Al Noor, Sheikh Mohammed Bin Butti Al Hamed and Kassem Alom, who combined hold 34.3 percent, the companies said. NMC, however, was undeterred. “This confirms our belief in the competitiveness of our initial possible offer and that the combination of NMC and Al Noor has the strongest strategic and financial rationale for all stakeholders,” it said. Al Noor was advised by Rothschild, Goldman Sachs and Jefferies, while Morgan Stanley and Rand Merchant Bank worked for Mediclinic. JOHANNESBURG (Reuters) – South Africa’s Sibanye Gold has offered $294 million to buy Aquarius Platinum, making its second big bet on a platinum sector hammered by falling prices and rising costs. The deal, announced on Tuesday, would put South Africa’s third-largest gold producer by value into the global top five producers of platinum group metals with annual output of more than a million ounces. It is the second big deal in the sector for Sibanye, which bought the labour-intensive and costly Rustenburg operations of Anglo American Platinum last month. Sibanye, a spin-off of Gold Fields, is capitalising on a platinum sector shake-up following an unprecedented five-month strike last year and weakening platinum prices that have hit profitability and raised costs in much of the industry. Under the terms of the deal, Sibanye offered 19.5 U.S. cents, or 2.66 rand, per Aquarius share, a 56 percent and 60.3 percent premium to Monday’s closing prices in Johannesburg and London respectively. The offer values Aquarius at $294 million. Aquarius’ shares in Johannesburg soared 40 percent at one point to 2.48 rand, slightly below the offer price, and was 34 percent higher at 1230 GMT. The stock was up 37 percent in London. Shares in Sibanye advanced over 10 percent to 19.74 rand. The offer is backed by Aquarius’ board but requires shareholder approval. In Aquarius, Sibanye would be taking on two low cost and mechanised mines in South Africa and Zimbabwe, which together holds the world’s largest platinum reserves. For Aquarius, the deal would allow its shareholders to exit the industry whose gloomy outlook was compounded late last month by disclosures Volkswagen AG falsified U.S. vehicle emission tests. Platinum was trading at $916.75 an ounce on Tuesday, having hit a near seven-year low of $888 on Friday. “Everybody is saying prices cannot stay this low forever. Sibanye is shaking things up in the sector, they are taking advantage where everybody is saying there is value but nobody is doing anything about it,” said Richard Hart, an analyst at Arqaam Capital. Sibanye Chief Executive Neal Froneman said he saw no job cuts on the horizon at his new asset. 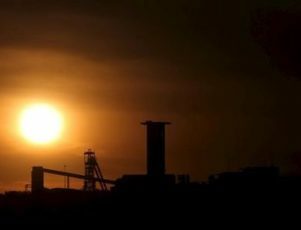 Lay-offs are politically-sensitive in South Africa, where unions say up to 22,000 mining jobs are current on the line and the unemployment rate is over 25 percent. There are about 1,500 employees at Aquarius’ Mimosa mine in Zimbabwe and 8,500 at the Kroondal operation in South Africa, where the hardline Association of Mineworkers and Construction recently ousted arch rival the National Union of Mineworkers as the dominant union in the shafts. Asked specifically if he wanted to snap up any assets from rival Harmony Gold, which is battling to stay profitable, Froneman said he was not interested. He also said the company remained committed to its policy of paying a steady dividend of between 25 and 35 percent of normalised earnings. Sibanye’s gold assets are older mines that generate good cash flow even at current prices and because of their age do not need huge investments, freeing money for shareholders. The group’s production profile will now be about 60 percent gold and 40 percent platinum. HSBC, which was the financial advisor to Sibanye, agreed to arrange a $300 million acquisition funding package. JOHANNESBURG (Reuters) – South African investment firm Brait SE sold its stake in Steinhoff International for about 16 billion rand ($1 billion) and will use most of the proceeds to pay off debt, it said Friday. Brait, which earlier this year sold its stake in low-end retailer Pepkor to Steinhoff for a combination of cash and a minority stake in the furniture retailer, said it would up its stake in British supermarket chain Iceland Foods. After netting 15 billion in cash from the sale of its Pepkor shares, Brait has been on a buying-spree, lapping up gym chain Virgin Active and Britain’s clothing retailer New Look. But the Pepkor deal, one of the largest in South Africa, also left it with 200 million Steinhoff shares. “Brait’s minority shareholding in Steinhoff was not aligned with the company’s strategy of acquiring majority stakes in sizeable unlisted companies,” the investment house said. The company plans to use the bulk of the money to pay off 14.2 billion rand debt. Brait also said it would pay 172 million pounds ($262 million) to raise its stake to 57 percent from 19 percent in Iceland Foods. Brait said it would fund the Iceland Foods transaction from the 350 million pounds raised in a convertible bond issue earlier this month. China is a superpower. If there was any lingering doubt as to this, it should have been erased as the widespread fall-out from China’s recent economic crash became evident. For Sub-Saharan Africa in particular, the impact of the crash was particularly harsh. The stock market crash on August 24th had several immediate consequences: the yuan was devalued, there was a huge injection of capital into the Chinese economy to support financial markets and the risk of a decrease in Chinese tourism worried many nations. China is the number one trading partner for most African countries. It has more than $20billion USD in investments in addition to billions in development aid. China is one of the biggest customers for Africa’s robust resource-selling market, particularly for mined minerals and crude oil. The devaluation of the yuan against the dollar will likely result in less demand for African goods as the purchasing power of the yuan plummets, thus increasing the relative price for Chinese consumers. 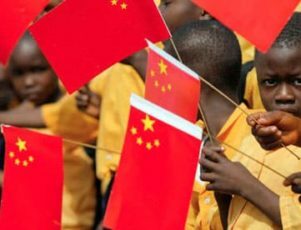 For South Africa, Angola, Zambia and Sierra Leone in particular, China’s economic troubles may be manifested in crippling ways. JOHANNESBURG (Reuters) – Starbucks’ local partner sees potential for more than 200 of the U.S. chain’s coffee shops in South Africa within five years, it said on Wednesday, as it prepares to open the country’s first Starbucks’ outlet next year. 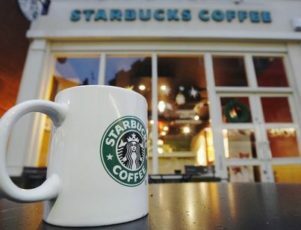 Starbucks signed an agreement with Taste Holdings in July that licensed the South African restaurant operator to develop and run Starbucks-branded coffee shops in Africa’s most advanced economy. The first store is expected in Gauteng province, the region that includes Johannesburg, within the first half of 2016, Taste said in a statement. “Market analysis has identified a conservative market opportunity of more than 150 outlets in South Africa today. We foresee this growing to more than 200 in five years,” Taste said. Taste, which also operates Domino’s Pizza outlets in South Africa, said it would start with at least 12 outlets in the next year before expanding further. Global restaurant brands are increasingly investing in Africa to join established international players such as McDonald’s Corp in tapping a growing middle class. Starbucks’ entry into South Africa will pit it against established brands such as unlisted Cape Town-based Vida e Caffè, a local firm with more than 60 outlets. 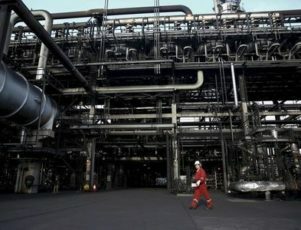 JOHANNESBURG (Reuters) – South Africa is considering building an oil refinery that will process Iranian crude to bolster its petrol supply and reduce its dependence on foreign companies, a government official said on Tuesday. Plans for the new refinery were being “conceptualised” Tseliso Maqubela, the deputy director general for petroleum and petroleum products regulation at the energy ministry, said. He could not estimate the cost or time frame for construction. Pretoria has said it will resume oil imports from Tehran “tomorrow” if sanctions are lifted but without its own refinery, it would have to rely on foreign oil companies who own refineries in Africa’s most developed economy. A landmark pact clinched on July 14 between Iran and the United States, Germany, France, Russia, China and Britain will limit Iran’s nuclear programme to ensure it is not put to making bombs in exchange for a removal of economic sanctions. Before sanctions, Iran was the biggest oil supplier to South Africa, the continent’s second-biggest crude consumer, importing around 380,000 barrels per day (bpd). 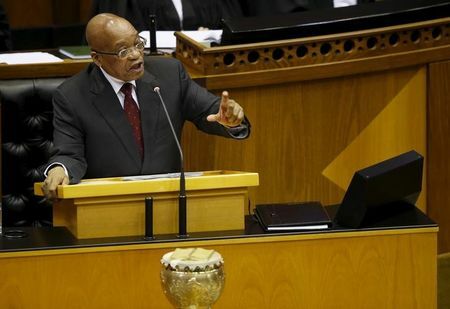 Iran and the ruling African National Congress (ANC) share strong diplomatic relations, with Tehran backing the party that helped liberate South Africa from white minority rule. Iran was one of the first countries to resume trade with Pretoria after democratic elections in 1994. “There are benefits to owning a refinery, basically the profits are re-invested in the country and outflows can be controlled,” said Maqubela. “We believe it’s better to have a technology partner, a partner who will bring the financing and then a partner that can bring crude oil,” he said without naming specific partners. Deputy Energy Minister Thembisile Majola said last Thursday South Africa was considering using Iranian oil for its new refinery which will add to the existing gas-to-liquid plant run by state-owned PetroSA. Maqubela said the energy ministry was considering using a refinery planned, but not yet built, by PetroSA in the industrial port of Coega but that the eventual refinery may take another form and name or be located in a different region. 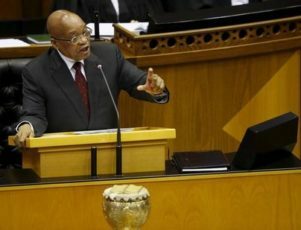 South Africa’s blueprint for growth and development, launched in 2012, gives the government until 2017 to develop new refinery plans to cope with growing fuel demands.